An apartment is not a permanent home for most people. You can either be a student or someone with a good paying job just starting out in life. Which can also mean you do not have that much time for tidying up your place. As much as possible you’d prefer to just walk in and crash into your bed. Then wake up the next morning and rush off to work or school. Mate, if that much is true then there is nothing to worry about! We have hard working maids that can take care of your place. No need to worry about the mess in your apartment. 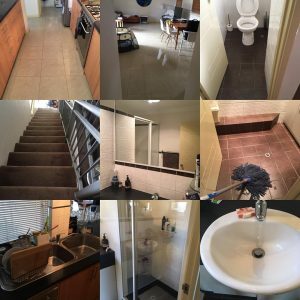 Our maids in Perth can do an effective apartment cleaning more than you do! So, you can just come home and relax. Just indicate your specific information during booking so that we can effectively serve. Apartment Cleaning: What’s in it for you? If you are still at school trying to earn your way to life, your schedule must be tight as a drum. And your apartment is left with chaos every time you leave. What if your parents will visit without notice? Or your friends come over? You can’t just throw everything in a spare room to clean the mess no more. But no need to worry about apartment cleaning. Get a maid to clean up for you and fix your place! Now if you are just starting out in life on the other hand. Considerable pay, but no one at home can clean up when you go. And everyday work is just too heavy that apartment cleaning is too impossible already. Then there’s no need to stress yourself out! Get a maid in Perth. They can provide you quality services from home cleaning to apartment cleaning with 100% satisfaction guaranteed. And come home to a clean and tidy home.